When considering where to invest your money, raw land may be the last thing you think about. On the surface, it’s not as appealing as property real-estate, and you aren’t going to benefit from the immediate wealth opportunities that comes from stock trading. However, there is still money to be made in them thar hills! While it might take you a while to earn back money from your investment, there are plenty of income-generating possibilities ahead of you. Of course, as with any investment, there are risks involved. 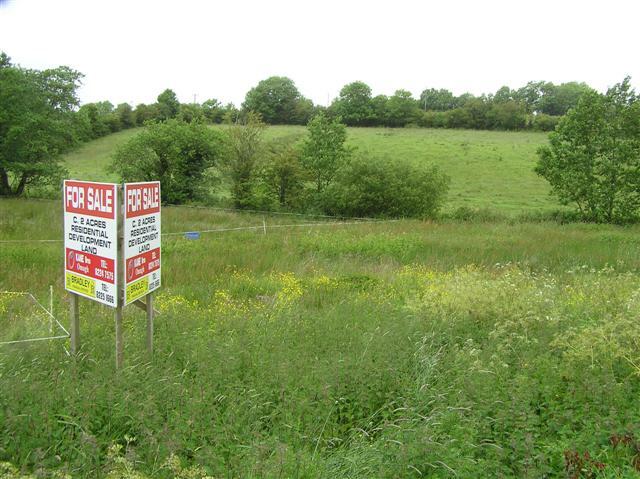 When considering buying a piece of raw land, you do need to do your research. As with property, location is important, dependant on what you intend to do with the land after you have acquired it. You also need to test the quality of the land, because as with property, there may be (literal) pitfalls within the ground, so you will need to pay for environmental testing before going forward. We offered some advice here, but it’s in your best interest to speak to others for advice, such as land agencies and chartered surveyors. After buying land, there are a number of money-making opportunities at your disposal. We will look at some of them here, and while we don’t have a complete list for you, there is enough here to get you thinking. If you ever wanted to become a farmer yourself, then buying land will be a fantastic opportunity. This is your opportunity to become self-sustainable, making money by selling your wares at local farmers markets and to the local community. The ground will need to be fit for purpose of course, with healthy soil for agricultural purposes, and plenty of grass for raising livestock. You will have to cultivate the land to get it ready, using agricultural grass seed, etc. to prepare the land for whatever purposes you have in mind. But if you aren’t interested in getting your hands dirty, you can still make a passive income by renting the land out to other farmers who would benefit from the extra land you can provide. Provided you buy land in a place where people might want to holiday, a campsite is another way to make a profitable income. Again, the land needs to be fit for purpose, as you don’t want to cause discomfort to anybody sleeping in a tent. You will also need to provide a water supply, as well as a shower and toilet area for anybody not sleeping in a caravan. You might also consider providing electrical outlets for your campers, as well as a wifi connection for anybody looking to use their smart devices during their stay on the site. You will be looking at extra expenses because of the renovations involved, but you will make money back through renting the space you have available. And you might also consider opening up a little shop to provide campers with basic supplies, such as bread and milk. If your land is situated somewhere scenic, it may make a great backdrop for a wedding party, birthday bash, or any other kind of ceremony. Advertise the land for these purposes, providing the requisite marquees, chairs, etc., and you may make a decent income, especially in the warmer months. The land can also be used as a meeting space, be that for a school or a community group, looking for somewhere to camp for the night, or to use for games and activities. Your land may also be of interest to metal detectorists, although you may want to come to an arrangement should anything of value be found on your land. And talking of value, this could also be the place for a farmers market or any other kind of tabletop sale where local people can offer their wares. There may be all kinds of groups interested in renting your land, so explore your options. The only caveat is the mess that people may leave behind! You can make big bucks by renting your land out to those companies with deep pockets. Larger businesses may want somewhere to place advertising billboards, especially if the land is located near places of high vehicle or foot traffic. If your land is located at a high point, you might want to consider contacting internet and telephone companies to see if they would be interested in placing antennas on your property. You might also consider wind turbines if you don’t mind the eyesore or even solar panels which are connected to the national grid. Before making any big decisions, you do need to be mindful of the local community. Not everybody will be happy looking at a wind turbine out of their window, or risking their lives due to radiated cell phone antennas, so be sure to hold a community meeting to discuss any plans before you are kicked out of town! If you are located near a town or city, then using your land as a parking area, for either cars or buses, may be a good idea. There is always a need for extra parking spots, and you can choose the parking rates yourself. While this isn’t the most creative use of your land in this article, it is certainly the most practical. You might also take the idea one step further, and turn your land into a place for private planes and helicopters, creating landing strips and helipads for private flyers. Not only can this be a place to keep vehicles overnight, but you might be able to rent out to another business owner, such as somebody wanting to start a flight school. You might even get some free lessons out of it! These were only a few ideas for raw land investment, and through your own imagination and research, you will be able to come up with others. While raw land may have seemed like an unusual investment, we hope you can now understand some of the opportunities open to you. Let us know if you have any further ideas.